Below you will find feedback offered by a patient through The Research Loop website about an article you authored. We hope that this feedback will be useful to you as you consider future projects. 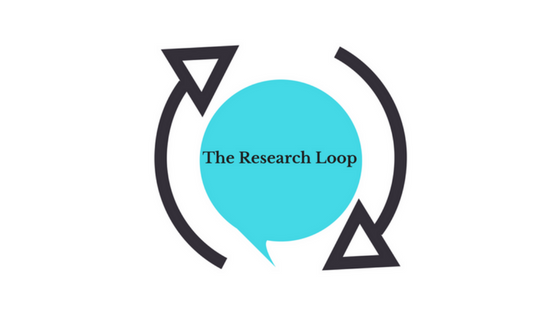 If you have any questions or would like to let us know how this feedback impacted your work, please email me at erin@theresearchloop.com. Zikmund-Fisher, B.J., Scherer, A.M., Witteman, H.O., Solomon, J.B., Exe, N.L., Tarini, B.A., and Fagerlin, A. (2016). Graphics help patients distinguish between urgent and non-urgent deviations in laboratory test results. Journal of the American Medical Informatics Association, 24(3), 520-528. I really like this study. As a patient, I know how hard it is to interpret test results from my doctor. Having a colored line I think would be the most helpful to me. I was glad to see that you had many people to sample from in this project so that you could get diverse views. I was wondering however if you would consider in future projects working with specific patient populations? For instance, I would assume that cancer patients or patients with type 1 diabetes might have more experience with these areas and thus be able to provide feedback from their experience. I did not like that you did not have a way for people to select that they might check online or ask a friend about results before reaching out to their doctor. I think many people will check online or ask a friend as an action that falls between doing nothing (and perhaps a lower urgency) and doing something (seeking out care). Since these patients are already online, one could assume that they might use online resources to put their findings in context. I thought these findings were exactly what I would expect from the general public – that a colored line would be more helpful than a table. In the discussion you talked about how hard it may be to determine the range and might select default display ranges. I think though that the tables already do this by indicating if a result is “Within Normal Limits” (WNL). Perhaps you do not need to set endpoints as much as make sure there are clear markers for what is WNL. As I said above, I think it would be important to do a version of this study for patients who more frequently go to appointments – patients with chronic illness or with specific diseases like cancer. I have seen this issue talked about with doctors and patients before – that the numbers and tables are hard to read and interpret. I think this will really help patients. However, it may be overwhelming if there are graphs like this for each result. Often I get maybe 20 results at a time and if I had to look at 20 graphs I might get confused or visually overwhelmed. I think doctors and patients should push for this kind of information to be standard in all patient portals. I also think in general there should be better patient education of what lab results may mean – perhaps better resources for finding information online. I was struck at the beginning of this article when you said that patients may “overreact to slightly elevated or reduced values.” I think this is a very stigmatizing statement. Patients and caregivers do not “overreact” they simply react. There has been a narrative in medicine for a long time that patients are incapable of determining what results mean. In fact, I have found myself having to interpret the results on my own many times and pointing out problems to my doctors that they miss. An article by Francesca Pillemer in PLoS ONE in 2016 talks about the potential releasing these results has to improve patient safety. In my own experience, I know that my doctors may miss test results that may seem WNL but for me are abnormally high or low. To say that I am “overreacting” is to dismiss my level of engagement and knowledge about my own care. To that end, because I track my own results, I often compare my current results to past results. As EHRs are used more, they may keep track of these differences and make comparisons as well. How would a graph work that both shows where I am in comparison to WNL and in comparison to my own results? It seems like a simple line graph may not work for that. I have seen a lot of tracking apps and I think the site Patients Like Me has experimented with graphing results. Have you worked with them or others to develop these ideas further. I worry, just like EHRs, the type of graphs produced if different organizations create their own will mean patients have to learn new graphs each time we get results from a different doctor. We need a way to make this standard.